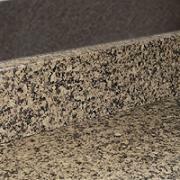 We specialize in custom countertops, and since each job is different, we will always make sure to help you select the best backsplash for your project. Occasionally, it will be determined by conditions specific to your kitchen or bath. We always recommend that you talk to one of our designers, but these are some of the options they’ll share with you. If you have another surface such as tile that you will be using as the backsplash, we can always install your counters without the backsplash. 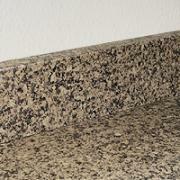 For stone backsplashes, this is the most common and gives you a 4-inch splash around your countertop. 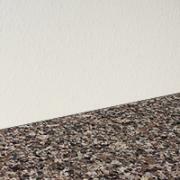 This backsplash option puts stone all the way from your counter to the cabinet. 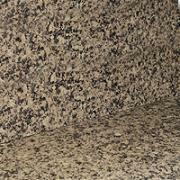 This gives a nice, solid look and is also a very popular backsplash choice. This is a more economical choice than the full backsplash, while still retaining the look of stone and the ease of cleaning.